Manulife Place, Downtown Edmonton. thousands of feet of drypack and levelling to get a perfect surface for the floor tile, then over 2500 square feet of Laminam large thin panel tile on the walls, all on a restricted time line. One of the most high profile projects in the province, Cutting Edge was charged with the task of installing the Linoleum, Carpet Tile, Broadloom, and even the Whiterock Hygienic panels on the commercial Kitchen walls. White marble tile on all of the walls, including niches, large format porcelain tile and broadloom carpet on the sales floor. 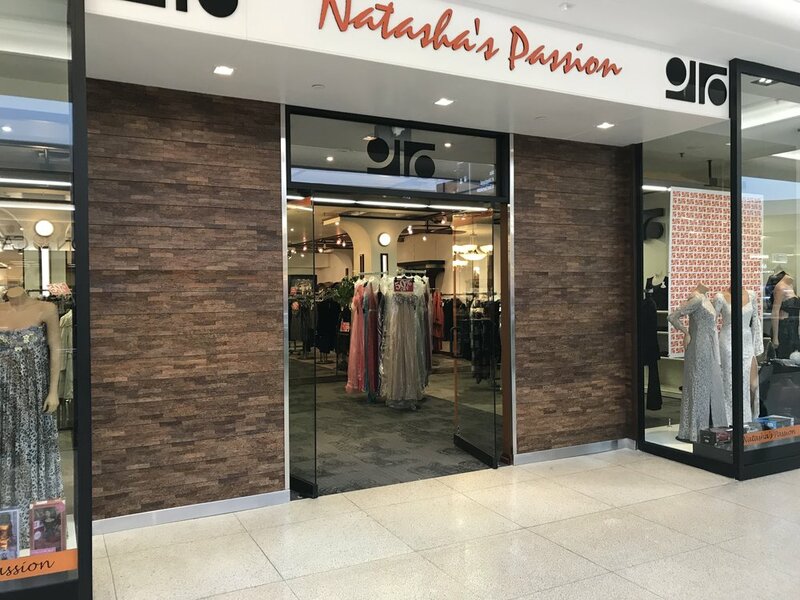 Pearl White 1/2"x1/2" mosaic tile and polished black granite base tile on the storefront and commercial rated laminate flooring on the sales floor makes this store bright and inviting. The oldest and grandest hotel in Edmonton, The Hotel MacDonald used custom woven wool carpets with borders and medallions employing a double-glue installation. Under a tight schedule, the three ballrooms, dining room and lounge were installed in less time than was budgeted.